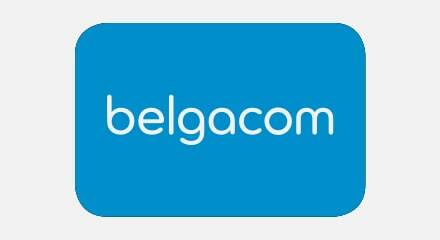 Belgacom is Belgium’s biggest telecommunications provider. Like many operators in this highly competitive market, it looks to the ‘quadruple play’ of fixed and mobile telephony, with Internet and Digital TV, to consolidate its lead and enhance its profitability. With more and more tempting options to lure consumers away, the company puts a lot of effort into keeping its call center bang-up-to date. It’s a core element in its business strategy, and Belgacom was first drawn to the exceptional call center capabilities of Genesys solutions. Starting with replacing its old IVR system, Belgacom moved on to multi-channel routing. It offers instant live agent interaction to web browsers and online sales support along with online chat. Meanwhile the company has gained real visibility and control over its outsourced call centers. In addition, the Belgacom Directory Information Services (DIS) Division, which provides directory information services on behalf of all telecommunication providers active in Belgium, has taken its Customer Experience to the next level. Its highly efficient contact centre can handle up to 90,000 calls per day with just 300 agents. Belgacom DIS generates additional revenue through value added services like message forwarding. By migrating to a SIP-based Genesys solution, the company has been able to drive down costs further and offer new services. Smart IVR has reduced the average time agents speak to customers to just 30 seconds. Agent productivity has risen sharply – each agent handles an average of 1,000 calls per day from a previous level of 600. A message forwarding service has proved popular with customers and is generating a brand new revenue stream. Increase the margins on a shrinking directory information service by driving down costs.